Established in 2011 by Simon James and Scott Bridgens, Resident is a globally focused design company from New Zealand, committed to the design, manufacture and distribution of high quality furniture and lighting thus creating products that add value to the places where people live, work and play. 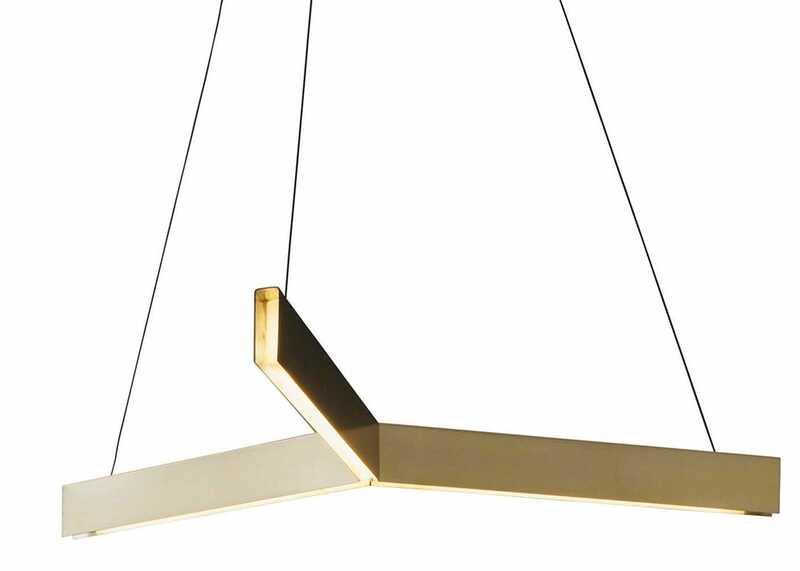 Tri is an elegant shaped pendant lamp, whose geometric form resembles the inside of an equilateral triangle.Three intersecting lines culminate at a centre-point, to display this classic geometric shape Tri contains a very high quality LED light source, which is elegantly diffused through a recessed acrylic diffuser. 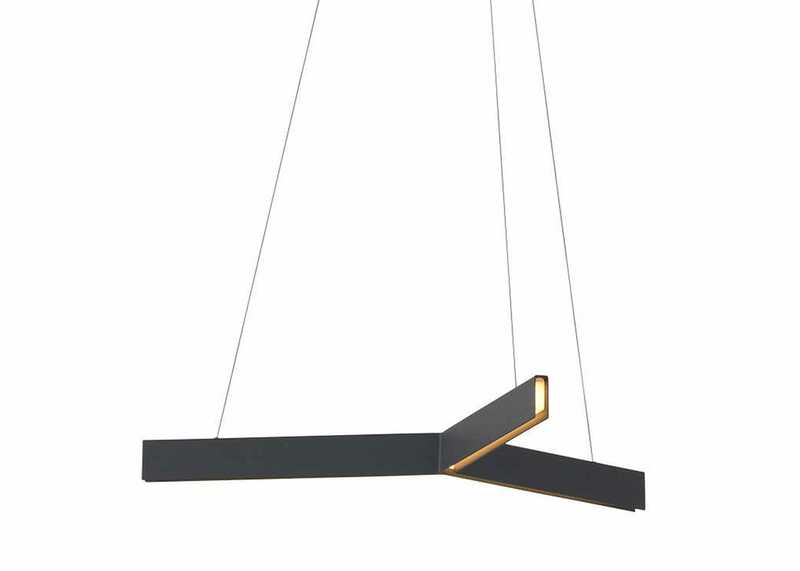 Entirely handmade, Tri is a modern alternative for home, office or retail spaces. A modern alternative for home, office or retail spaces. Finished in brushed brass protected by a porcelain based clear lacquer.